Above all, we here at Origo Branding Company are problem solvers. For over 30 years, we’ve proudly created thoughtful solutions for our clients’ business challenges. 25 years ago that might have been a typeset print campaign. In today’s digital era it happens on mobile phones and tablets. But no matter the decade, we’ve always combined design, messaging, and strategy to develop tools and ideas that help our partners achieve their next level of brand success. And as the world and our clients needs have evolved, so has our service offering. 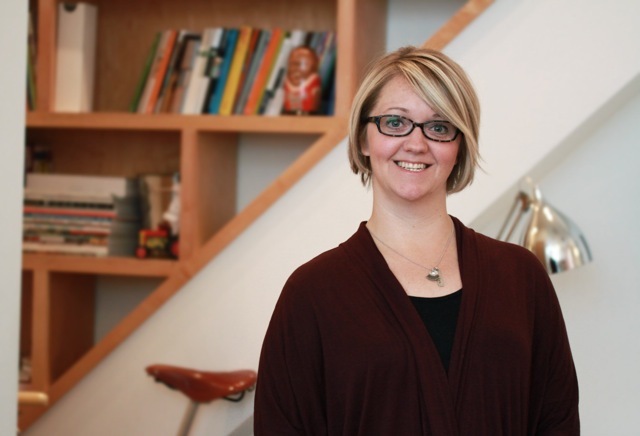 That said, we’re excited to introduce a new member (and new service) to Origo: Sr. Media Buyer & Planner, Kylie Hunt. Kylie brings over a decade of experience in all forms of media–from TV, to environmental, all the way to digital. And Kylie has already made quite an impact. In just 3 months, she’s managed over 1 million dollars in media for several clients and produced results well above the national average on digital initiatives. Outside of work, Kylie is a mom to two amazing little boys and the wife of seven years to “one of the busiest guys on the planet”. They spend their time between Indiana and Ohio with their families, and they love to travel out west to the mountains. She likes to experiment in the kitchen and try new local restaurants. She’s a sports fan, home workout guru, music enthusiast, Pinterest-aholic, and audio book lover. Simply put, Kylie rocks. And we can’t wait to introduce her to our clients, partners, and friends. If you have any questions about our media buying and planning services (or just wanna talk about Pinterest), contact her at kylie@origobranding.com. She’ll be waiting with an ever-present smile.